It is affectionately said that what Oracle is to Relational Database, Cloudera is to Hadoop. Most of the Hadoop aspirants, at the beginning of their Hadoop development learning curve, fiddle with the setting up of CDH, some able to do it smoothly (Cloudera has put up an incredibly exhaustive installation guide), some requires to really sweat it out (few finer details and prerequisites are either missing or not enough emphasized upon) and very few actually gives it up losing their way in the verbose and cover-all-cases installation guide(multiple way of set up and different set of instructions for different linux OS; sometimes too much of variations for impatient starters). So there is a target audience for one more set up document which is leaner, meaner and streamlined with only one (the most preferred) variation. Try it at home!! 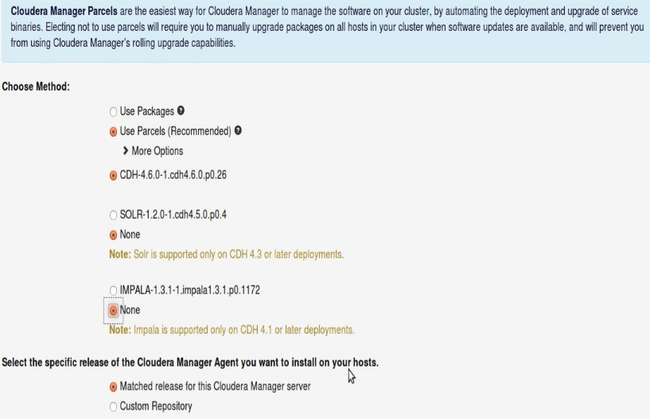 Cloudera Manager automates the installation and configuration of CDH 5. Note : Installing user to have root or password-less sudo SSH access to cluster's machines. Note : Set PubkeyAuthentication to Yes. Note : 0 means it's enabled and 1 is disabled. Important: In some Ubuntu system we don't have 'admin' group by default; instead we have a group named 'adm' (or may be something else); so make the below changes accordingly. If in your system you have 'admin' group, follow below steps else check out for admin group usage and replace it with adm (or whatever else group you have) group. #log_bin should be on a disk with enough free space. Replace '/var/lib/mysql/mysql_binary_log' with an appropriate path for your system and chown the specified folder to the mysql user. 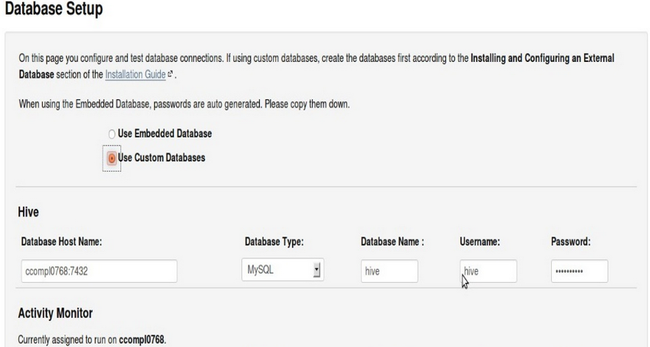 Need to record the values you enter for database names, user names, and passwords. 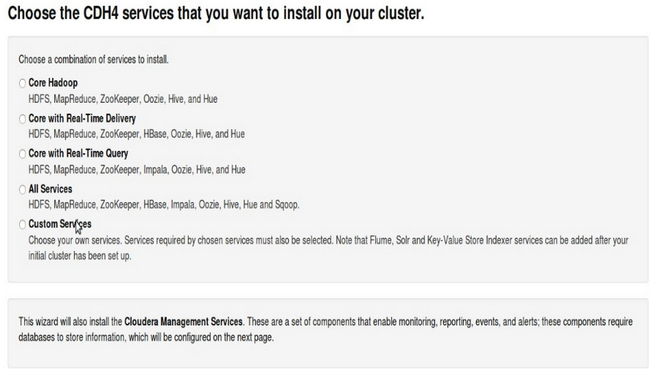 The Cloudera Manager installation wizard requires this information to correctly connect to these databases. 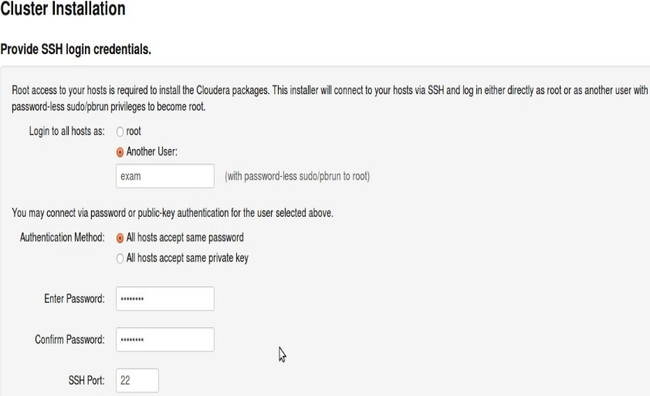 When the installation completes, the complete URL provided for the Cloudera Manager Admin Console, including the port number, which is 7180 by default. Benefit: parcels provide a mechanism for upgrading the packages installed on a cluster from within the Cloudera Manager Admin Console with minimal disruption. Caution: If you need to rerun the installer file (.bin) it may get locked. UI of installer will then wait forever to get the required file system locks before actual installation. You need to delete the lock files. As of April, 2015 I have around 10 years of IT experience, all in development track with J2EE technology stack (Struts, Spring, JMS, JPA, EJB)and Content Management (FileNet). My recent tryst with Hadoop ecosystem opens up altogether a different world to me. How I am poaching (for failing to poach) time from my grueling delivery schedule of my employer now becomes a really interesting hide and seek game for me. But soon I will be setting up CDH at my workplace and engage in a client POC.